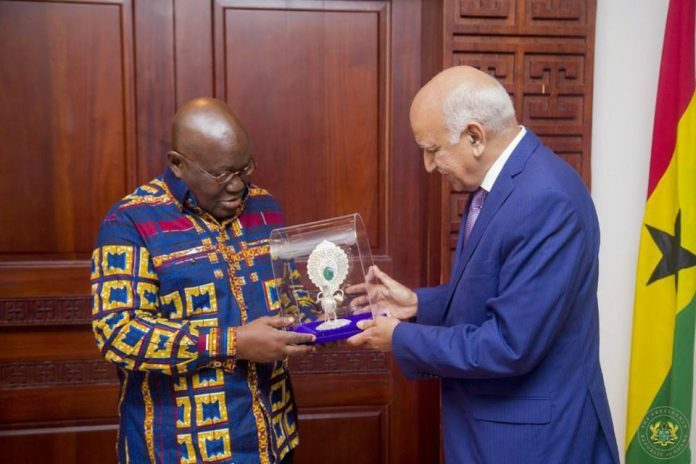 India’s Minister of State for External Affairs, M.J. Akbar, has applauded the policies and programmes being implemented by the government of the President of the Republic, Nana Addo Dankwa Akufo-Addo. 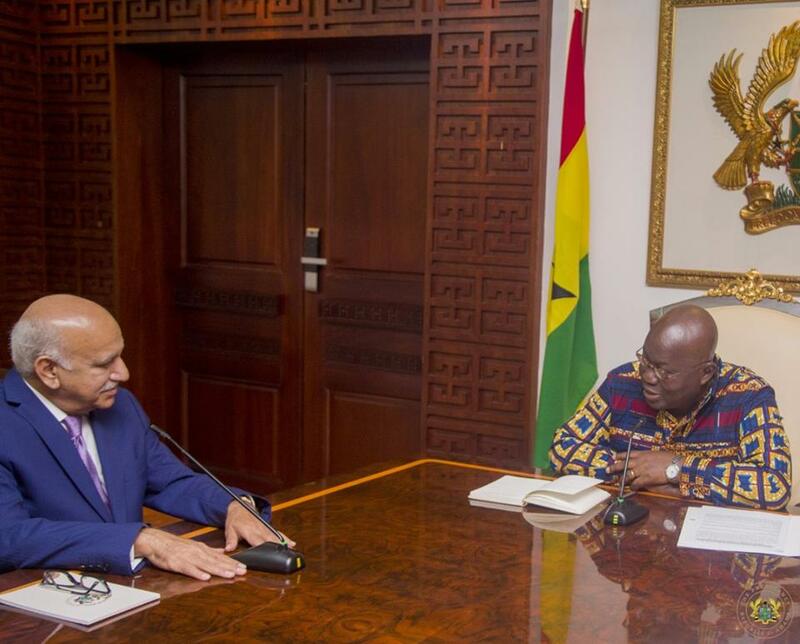 Describing President Akufo-Addo as “a father of democracy in Africa”, Mr. Akhbar indicated that the government and people of India celebrate the ongoing contributions made by President Akufo-Addo to Ghana’s development. “We celebrate also the fact that your programmes and policies, evidenced in your signature policies, about villages, agriculture, are indicative that you are as close to the people of your country as you always have,” Mr. Akhbar said. Mr. M.J. Akbar made this known when he paid a courtesy call on President Akufo-Addo at the Presidency, on Tuesday, 15th August, 2017, on the occasion of India’s 70th independence anniversary. It was his hope that Ghana and India will build bridges in the immediate future, that will have the strength to transform the two countries. “Together, we defeated colonisation. Together, as partners, we must define the future of the 21st century, by lifting our nations and taking them to the economic and equity forefront of the world. Our responsibility is to give the generations of the future an equally dramatic change so that we can also belong to, what is conventionally called, the best of the First World,” he added. 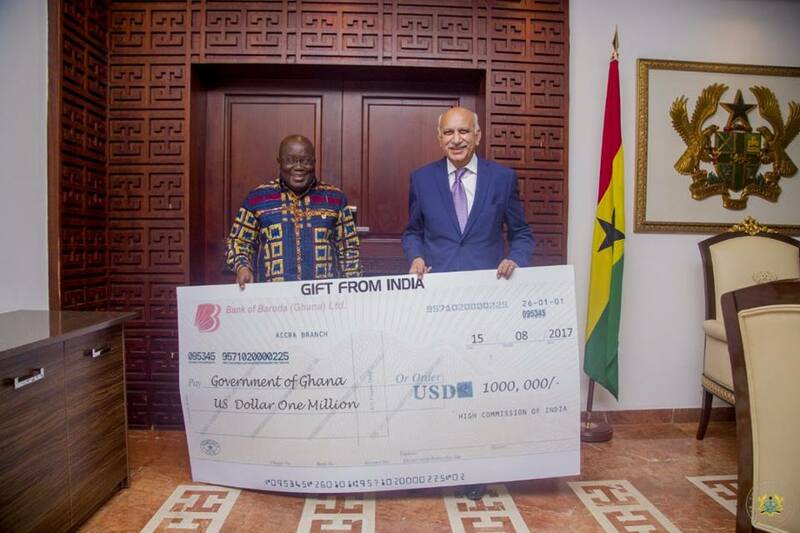 M.J. Akbar presented a donation from the Indian government to the tune of $1 million for the renovation of the Flagstaff House, an edifice which was financed and constructed by India. 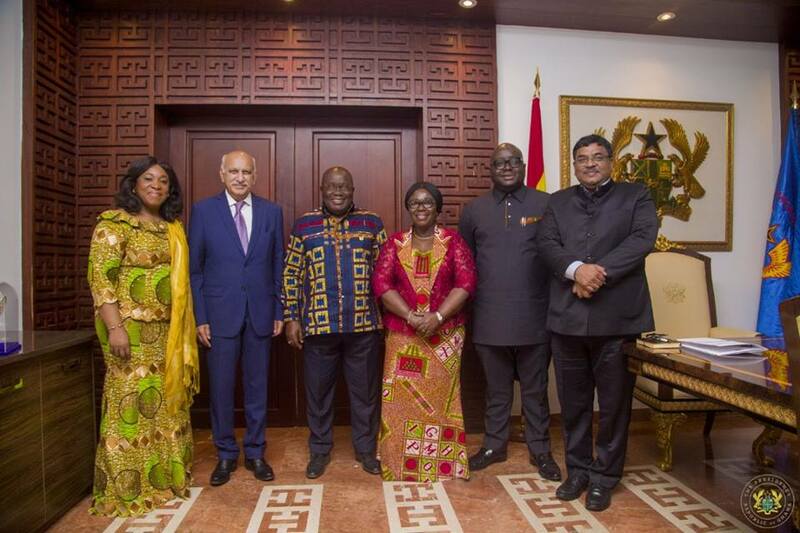 Expressing his delight at the visit at of the Minister, President Akufo-Addo noted that the synergy between Indian and Ghanaian freedom was deliberate. “The people who began the struggle for our nation’s freedom were heavily influenced by events in India. Indeed, it was exactly 11 days before the 15th of August that they met in Saltpond to begin the battle for Ghanaian freedom, and they did so because they were conscious of what was taking place in India,” he said. President Akufo-Addo conveyed the appreciation of the Ghanaian people for close and warm relations enjoyed between the two countries, the symbol of which is the Flagstaff House. He also applauded the impact being made by India’s Prime Minister, Narendra Modi, not just domestically but also on the international scene, and also the contribution to the development of Ghana being made by the Indian community resident here. President Akufo-Addo also thanked the government and people of India for the $1 million donated for the rehabilitation of the Flagstaff House.